Discussion in 'Android Devices' started by JoCo1289, Jan 5, 2010. Okay so I'm trying to connect my phone to my network so I can use wifi. I found my network and entered the correct password and it will say its obtaining an ip address but then after a few seconds it will say unsuccessful what am I doing wrong? When you say password I presume you are refering to your Wep key? Make sure that you entered your wep key in correctly. Make sure you are selecting the correct Key Index also (I have 4 I can set up = 4 different passwords). I was having a problem also until I remembered that I use Index 4, and not 1. Yea I typed in the correct password for each of the Key Index just to see if it'd work, and it didn't. Then I tried to use the static ip thing and it connected but wouldn't let me go online. I mean its no biggie really I just heard using wifi is a lil better on the battery than the mobile network. thanks for the help though I appreciate it. The phone is b/g, make sure you have that included in the options in the router. I have a wireless N+ and I had it set for N only for the laptop before I got the phone. When I got the phone, it could see the router but never connect all the way. Then I slapped myself and set my router for b/g/n with WPA2 and it worked great after that. For b/g I'm talking about the wireless protocol b or g, g is faster. For WPA2 I'm talking about the security protocol. 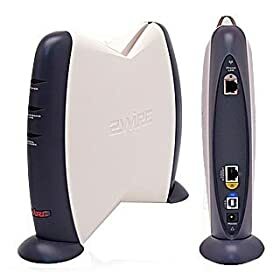 Some old routers only have WEP, that's weak security now. The newer ones had WPA with TKIP, the more recent ones have WPA2 with AES. If you have WPA/AES or WPA2/AES you want those. A few other people have the same router I have, Belkin N+. They said they had it set for b/g/n with WPA or WPA2 (to allow both) and they had problems. They changed it to b/g/n with WPA2 only and they connect fine. So, you might need to play with your settings. Also, for testing, just make a short password for now to get it to connect, then change to a longer more secure password.